For my monthly meal swap I made a Lobster Breakfast Quiche- super yummy! so I needed 8 pieces of cooked bacon for each of my 10 dishes. That is A LOT of grease and time so I googled a few things and tried this route. It worked fantastic. I also have double ovens so it took no time and its super easy. 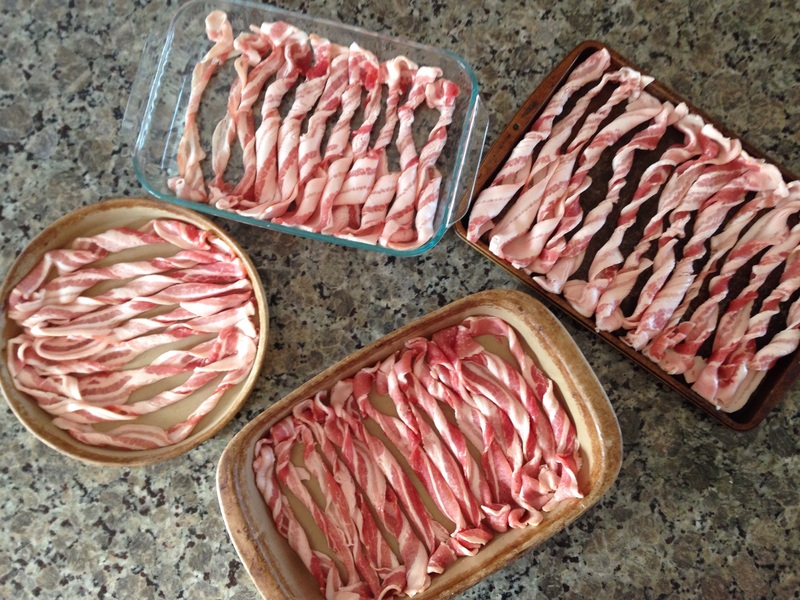 Simply open the bacon and twist each piece individually and place in pan. You can fit an entire package on one tray-BONUS! Next, place in 400 degree warmed oven and bake for about18-22 minutes. 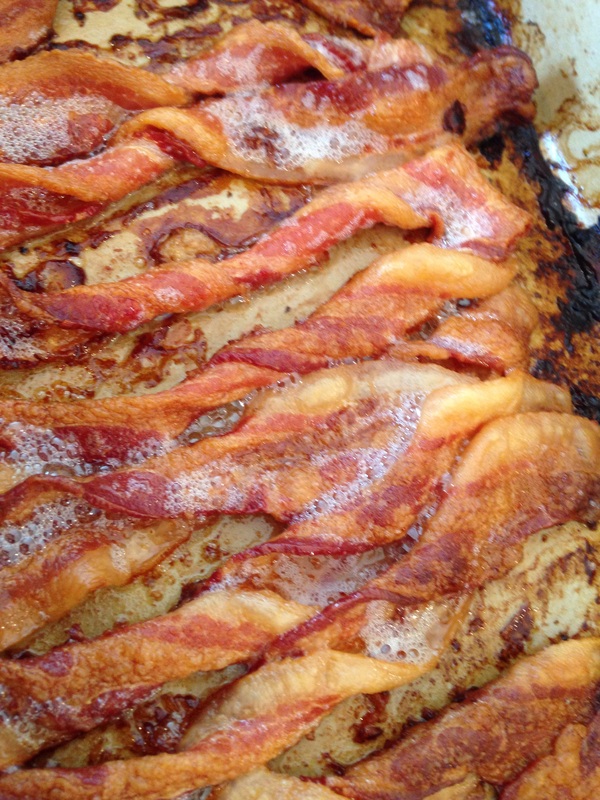 The time may vary depending on how thick your bacon may be. No flipping required and it bakes evenly! 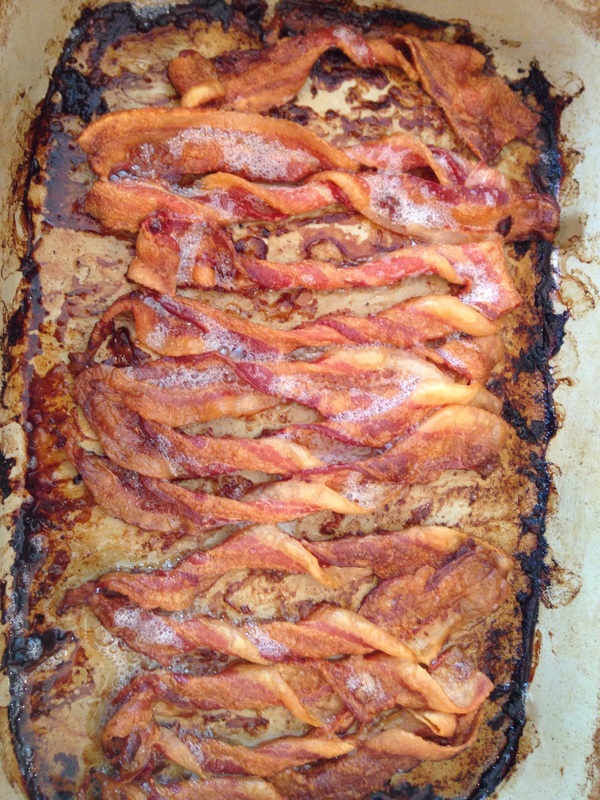 I line a plate with coffee filters (cheaper then paper towel, and works just as good) and place the greasy bacon on that to absorb some more of the grease before I serve. What a new fun trick- Glad I got to share on this sunny Saturday!